Medium Brown to Dark Red or Highlights? Which one to you think would look best? Also i dont really know weather i want to go really bold. Would it be better to go with one thats semi-noticable so that if i dont like red i can stop dying it or should i decide i like it to go bolder? 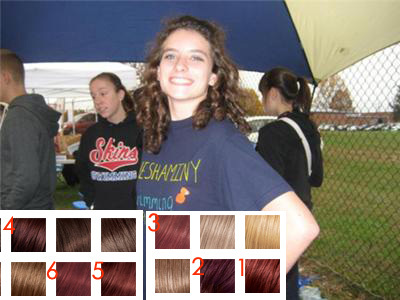 Answers and Comments for Medium Brown to Dark Red or Highlights? The vibrance of six will add some pop. Go for it.